In a previous blog post I touched on the subject of the lack of female representation in STEM orientated careers. The word ‘STEM’ was a new discovery for me at that stage and the more I researched this topic, it became very clear that this was a huge area of debate/concern and on a global scale. In an attempt to try and help promote the field of 3D Visualisation as a STEM career choice to young people (and particularly female students), I contacted the regional co-ordinator for STEMNET in Northern Ireland and set about volunteering my services as a STEM Ambassador. Completing the necessary paper work was easy, turning up on the day to engage with 200 female students between the ages of 13 and 15 to enlighten and inspire was however, much more daunting. The brief was clear: I was to arrive at 9.30 and take part in a ‘speed networking event’ where I would chat to groups of 7 students for five minutes about my chosen field. Little did I know that this cycle would continue for three solid hours (the event took place in the awesome W5 in Belfast). 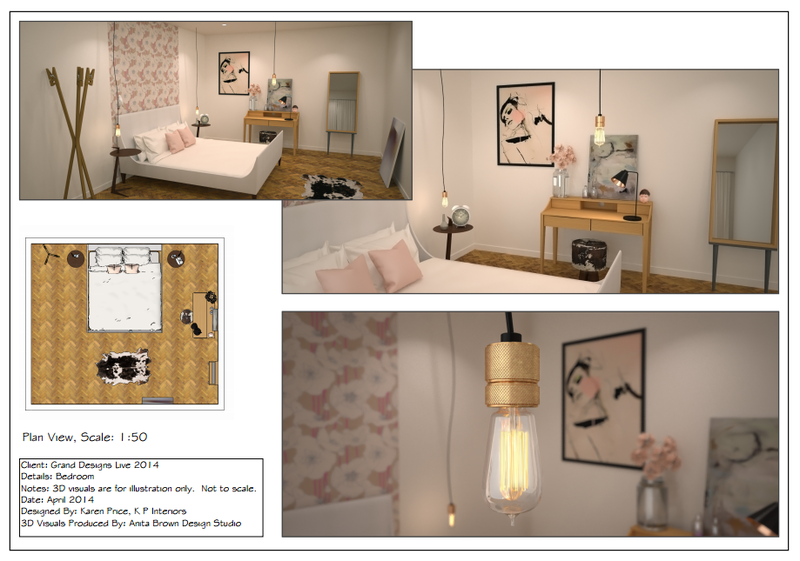 I brought along a few screen shots of my 3D models and the final photo-real images to illustrate the transition from 3D model to virtual reality and also included a few final 3D Visualisation presentations. I was convinced that once the students realised that these scenes didn’t actually exist in reality, there would be gasps and finger pointing aplenty. This was a tough crowd! The only finger pointing was at the image of the interior that included a doll’s head (above). Not only did it involve finger pointing but quite a few giggles too. But hey, it broke the ice and it was a welcome moment of humour. I would estimate that probably two thirds of the students were genuinely intrigued and interested in my chosen field. Unfortunately the remainder kinda looked this. You can’t win them all, right?! As each group arrived for their five minute time slot, I quickly realised that I needed to up my game to keep the students engaged. 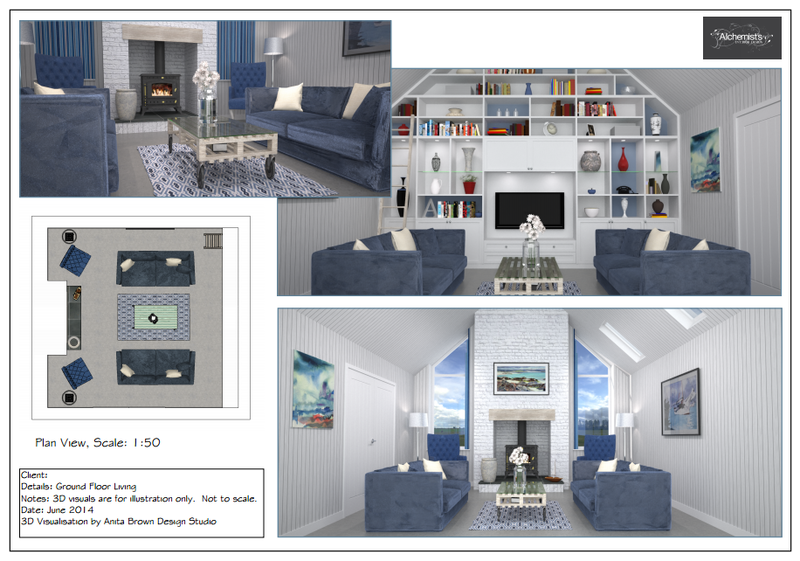 Apparently creating photo-real images of interiors that don’t actually exist wasn’t particularly impressive to a 15 year old! I started referencing celebrities when I discussed some of my processes ‘You’ve heard of Photoshop, right? It’s used a lot by Kim Kardashian and Beyonce to create a waist that doesn’t exist in reality’. I got a few grins. It was working. I even got a few questions fired at me. Unfortunately, their questions had absolutely nothing to do with my ‘art’ but more the financial rewards of my job. Trying to impress and engage with students for three hours will leave you fatigued, you’ll have a raspy throat and you’ll also discover that you’re nowhere near as cool as you thought. But volunteering for a role of this nature is definitely a unique experience and if only 1 student was left with a little food for thought regarding the merits of my role, then I would definitely consider that an accomplishment. I did learn something very important: if all else fails, talk about One Direction.